Take a break from the hustle and bustle of everyday life, and discover the Mediterranean as it once was, on the Northern Dalmatian islands. This off-the-beaten-path itinerary takes you to small islands and even smaller villages. You will visit beautiful bays and beaches, often only accessible by boat. You will have the feeling that time stopped decades ago, in quieter and more peaceful days. Your journey starts in Zadar. 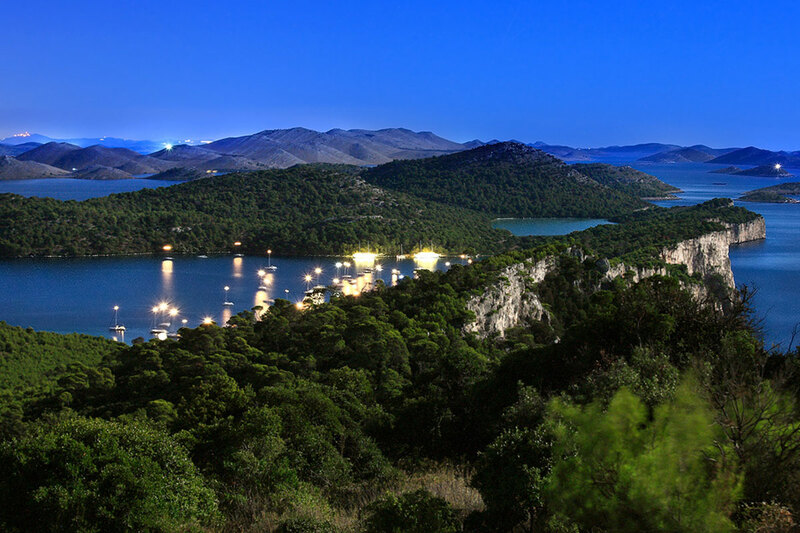 After you board in and meet the crew you will head towards Telašćica Nature Park. Yes, the name is hard to pronounce, but its beauty will sweep you off your feet. The things you must see there are the salt lake Mir (Peace) and the amazing cliffs on the south coast. At the end of the day you will have a well-deserved dinner at Taverna Goro. It is accessible only by boat, so it is quite exclusive. 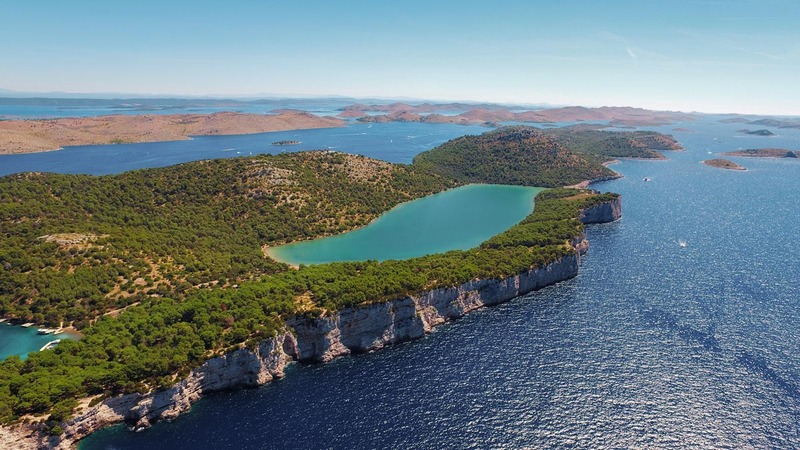 Cruising north, you’ll witness all the splendour Dugi otok has to offer. Your first stop is the narrow pebble beach of Brbišćica Bay, surrounded by magnificent cliffs, rocks and caves, only accessible from the sea. 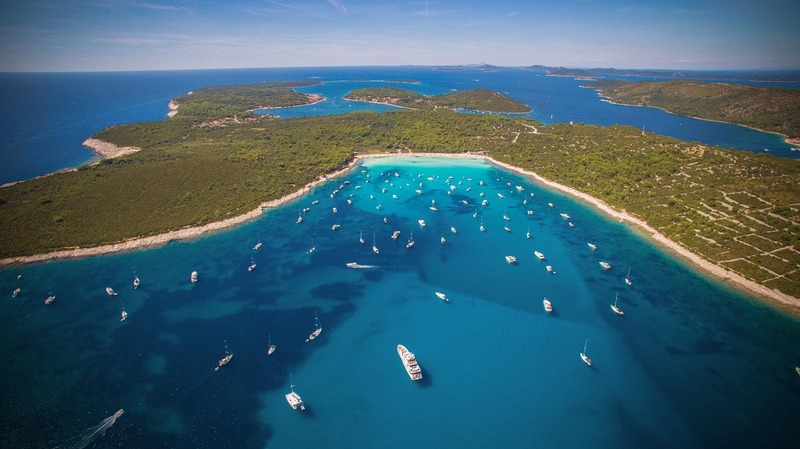 Further to the North you will come to the large white pebble beach called Veli Žal facing the islet Mežanj with its delightful turquoise water and beautiful view of the horizon. 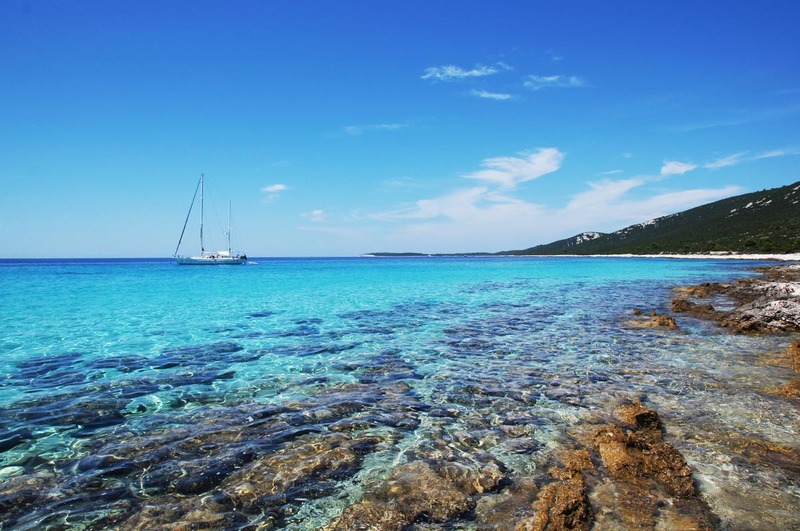 Bring your day to an end on the 800 m long gem of Dugi otok – the sand and pebble beach known as Sakarun. There are several bars where you can enjoy your sunset cocktail, and safely overnight at anchor or head towards the Veli Rat Marina and enjoy seafood at the Lanterna restaurant. After a relaxing sleep and hearty breakfast on your yacht, take a tour and visit the lighthouse near Veli Rat. Built in 1849 and 42 m high, this is probably the most photogenic lighthouse on the Adriatic, and for good reason, we believe, so have your cameras and Instagram feed ready. After that you will head towards the island of Ilovik. On your way you will stop by the rock called Lagnići, where you can explore a shipwreck. Once you get to Ilovik you can take a walk around the island and see why it is called “the island of flowers“. At night, you can have dinner on your yacht or choose a local restaurant. Today you will sail towards Susak, an island like no other on the entire Mediterranean Sea: it is completely made of fine sand. There are no roads on the island, just dusty paths that lead from one side to the other. There are no nightclubs, no noisy tourists, no traffic…. 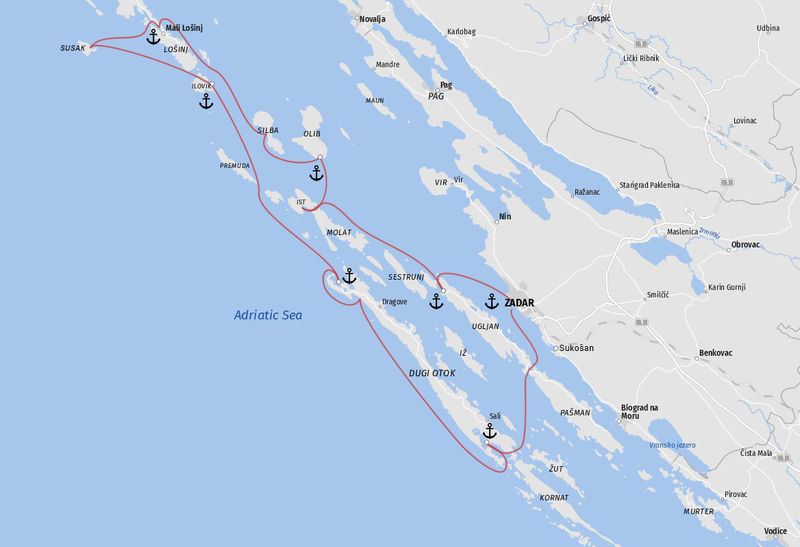 In the afternoon, you will sail to Mali Lošinj. Now, this is a different story. Mali Lošinj is a vibrant, colourful town, rich in history with long tourism tradition, so after a few days of Robinson Crusoe life style, it will be a nice change to dress up for dinner in an elegant restaurant. Our recommendations are Alhambra in Čikat Bay, or Barakuda in Mali Lošinj. In the morning, you can explore the town of Mali Lošinj, do some souvenir shopping or just sit in a café and watch the world go by. Your next stop is the Island of Silba, another vehicle-free island. Yes, the entire island is a pedestrian zone! Find a restaurant for a quick lunch, or have it on your yacht. In the afternoon, you will lift your anchor and the yacht will set off towards the Island of Olib where you will spend the night in the isolated cove, Slatinica, known for its beautiful sandy beach and shallow water, suitable for children. More island hopping is planned for Day 6. From the Island of Olib your yacht will sail to the Island of Ist, another small island with a population of around 150 pax. Explore the small village of Ist and have lunch at restaurant Kety. In the afternoon, you will leave for the Island of Ugljan where you will have dinner and spend the night in the village of Muline. To get into the real Mediterranean way of life, we invite you to play a game of bocce on the local bocce court. Spend your morning swimming in one of Ugljan’s pristine coves, and in the afternoon leave the islands behind you to visit Zadar. This ancient city, and its cobbled streets, will charm you with its history and atmosphere. Must-visit sights are the Sea Organ and the Greeting To the Sun installations, situated on the western end of the Zadar peninsula. This is the place where you will enjoy the “most beautiful sunset in the world“. Have an aperitif in Ledana Bar or the Garden lounge bar, followed by lunch or early dinner in the elegant restaurant, Foša. Being the first to know always feels great... Signing up to our newsletter gives you exclusive access to our special offers, featured yachts and latest news! I accept to occasionally receive special offers and news about services of Yacht In on the above entered email address. Would you like to charter? Would you like to buy a yacht?